Farcountry Press: Taking you places. 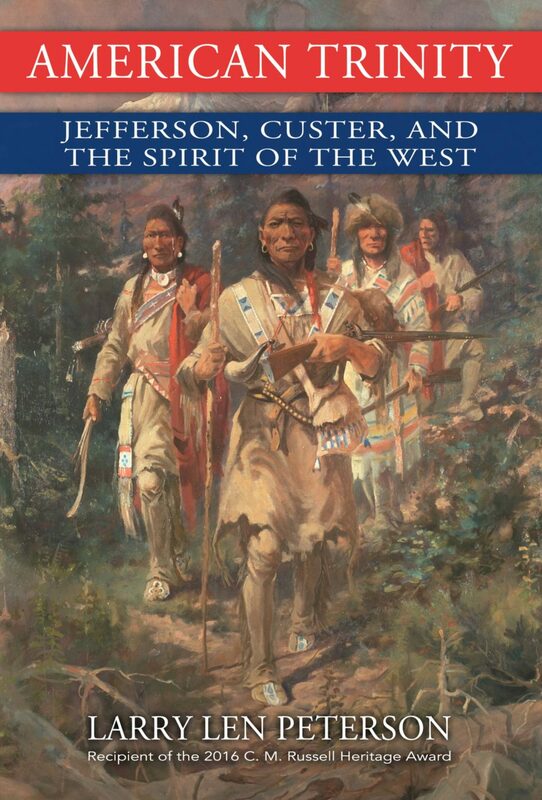 In the tradition of Guns, Germs, and Steel, author and cultural historian Dr. Larry Len Peterson explores the politics of hate and racism against the backdrop of Manifest Destiny in American Trinity. 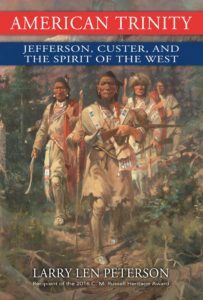 Wide-ranging and brimming with fresh insights, American Trinity focuses on how the West was shaped by three implacable forces: Christian imperialism, Thomas Jefferson’s Doctrine of Discovery, and Euro-American hubris as embodied by George Armstrong Custer. However, in examining these failures, American Trinity encourages readers to discover a deeper understanding of our national history and human nature. The painstaking and detailed research collected from multiple academic disciplines yields a formidable compendium that brilliantly illuminates the influences, factors, and forces that culminated in the collision of European and Native American civilizations and the bloody aftermath. American Trinity (ISBN: 978-1-59152-188-4, $34.95, Larry Len Peterson 2018) is available at local bookstores and gift shops, through online retailers, or from Farcountry Press at 1.800.821.3874, www.farcountrypress.com. You can also purchase American Trinity on Amazon.com here. Larry Len Peterson, recipient of the 2016 C. M. Russell Heritage Award, is an award-winning scientist, physician, cultural historian, and author. Above all, he is a searcher. Peterson grew up in Plentywood on the Great Plains of northeastern Montana. He graduated from the Oregon Health and Sciences University (OHSU) in Portland and completed an internal medicine internship, a residency in the visual field of dermatology, and a NIH research fellowship. He has published in numerous scientific and medical periodicals, including the prestigious The Proceedings of the National Academy of Sciences, Molecular and Cellular Biology and The Journal of Clinical Investigation. Peterson is the recipient of The Henry W. Stelwagon Award (College of Physicians of Philadelphia) and The Sommers Research Award (OHSU) for outstanding scientific research, among many others. His distinguished biographies include Philip R. Goodwin: America’s Sporting and Wildlife Artist; The Call of the Mountains: The Artists of Glacier National Park; L. A. Huffman: Photographer of the American West; Charles M. Russell: Photographing the Legend, A Biography in Words and Pictures; and John Fery: Artist of Glacier National Park & The American West. He is a member of the Western Writers of America, Western History Association, and Little Big Horn Associates. He is the recipient of two Western Heritage Awards, the Scriver Award, The High Plains Book Award, and the Will Rogers Gold Medallion Award. Dr. Peterson lives with his wife, LeAnne; two Vizsla dogs, and two horses, on their Spirit of Winter Ranch near Sisters, Oregon. The Montana Coloring Book is here, and it is amazing. The Awful Air Travel Activity Book: Hilarious puzzle book for all-ages!